"I'm mad as hell, and I'm not going to take it any more!" Or to be accurate, I had been, in the famous words of Howard Beale in the 1976 film Network, “mad as hell”, earlier in the morning. By afternoon, I’m drinking a beer in the sun at the Puhoi Pub, just north of Auckland and taking in the preparations for the annual Puhoi Axeman Wood Chopping Carnival. As far as I can tell, this involves moving around piles of metre-length logs, and a lot of consulting. The usual weekend motorcyclists who frequent the pub are elsewhere today, but are more than compensated for by the black-singleted axemen waiting around before things get serious tomorrow. Replete with references to the Dukes of Hazzard, they keep up a hilarious running commentary on the comings and goings at the pub the whole time I’m there and I’m laughing despite myself. 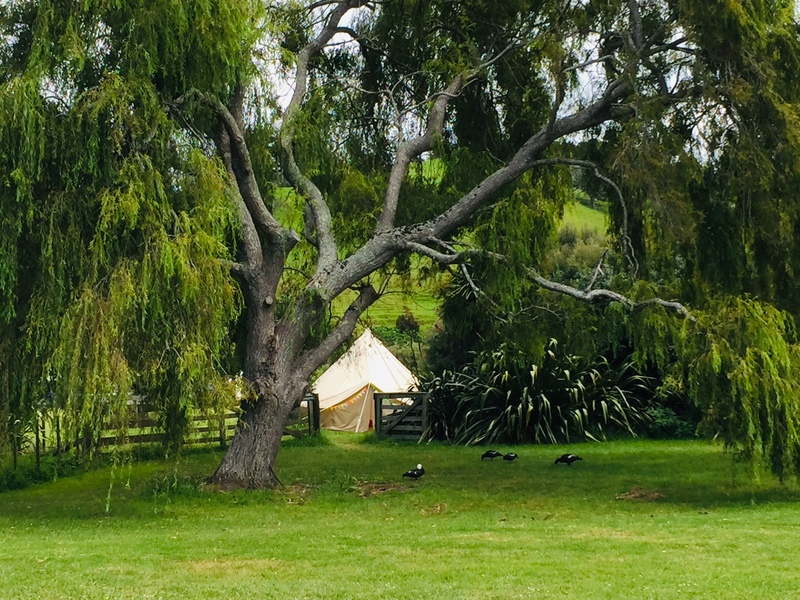 But back to this morning...when I found myself paddling po-faced up the Puhoi River, having launched a kayak from my scenic lagoon-edge campsite at Wenderholm – I was not laughing at all. It’s a gentle two-hour paddle up the river to the pub on the incoming tide, but the thin layer of scum and frothy bubbles coating the water had me mad as hell, and casting about for culprits. I silently raged at the dairy farms that adjoin parts of the river, at the new subdivisions springing up in this previously low-density area, at the good people of Puhoi and the powers that be for not doing anything. It’s declining perspective that allows people to blithely praise this area, I decide. The memory of a pristine river gets lost as new people move in and a new generation grows up thinking swimming in scum is normal. A lone shag on a branch watches balefully as I glide by and I imagine it trying to fish in that silty water, emerging from the depths slick with mud. It eyes me reproachfully. Ducks, geese, herons all seem to express similar sentiments as I slip past. When I stop for coffee the woman at the Puhoi General Store expresses surprise at my railing about the state of the river and says the kids all still swim there. I stump off vowing to do something about this, and ease back into the river to catch the outgoing tide home. But the thing about being mad as hell, while floating down a river in a kayak, is that unless maybe you’re Ian Fergusson chasing down a competitor at the Olympics, it’s quite hard to stay angry. Ratty from Wind in the Willows sums it up nicely when he says, “there is nothing – absolutely nothing – half so much worth doing as simply messing about in boats”. And so alternately lulled by the peaceful flow of the river and then remembering about being riled up over its ostensibly unswimmable state, I float lazily along. I pass a man and his dog diving off a pontoon and ask him about water quality. It’s one of the cleanest rivers in Auckland, he assures me – the foam, merely the natural consequence of salt water meeting fresh. I’m not entirely convinced, but I do start to notice the water becoming clearer with the full tide – the former grey-brown in parts taking on a minty-aqua colour, born of the mingled hues of sea, tree, sand and sky. 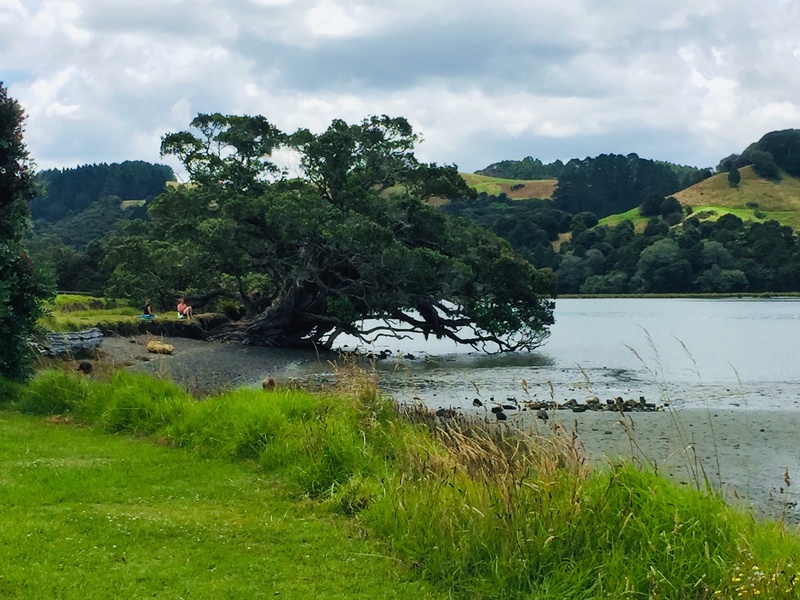 Stands of native bush line sections of the river, kowhai and kahikatea hang over the water draped with lichen and adorned with epiphytes, like luxuriant Dr Seuss tree-queens. There’s something about travelling in nature under your own steam – the dip, splash, stroke repeat, rhythm of paddling, or cycling, or walking – that allows your mind to open up and move along different lines – to think wide, clear thoughts, filled with light and possibility. These thoughts are interrupted by more people unfazed by water quality, whom I hear before I see – their raucous laughter belying the fact they look like they are trying to drown each other, taking in mouthfuls of briny water in between bellows of merriment beside their capsized boat. Finally, they compose themselves for long enough to coordinate hoisting themselves back onto the kayak mid-stream, but the man’s celebratory slap on his companion’s arse unbalances them and they are back in the water again, still laughing like drains. I leave them to it and sink back into a peaceable reverie for the rest of the journey. Back onshore I check both the Auckland Council Safeswim and the Land Air and Water Aotearoa (LAWA) sites for water quality. Wenderholm is safe to swim and Puhoi River tributary, Puhoi stream’s state is classed as good, but very likely degrading. So, all up it’s better than the Milford Marina, which has a constant high-risk warning and where a certain New Zealand Doctor editor has been known to shout out the window at hapless boaties hosing their paint waste into the stream, but not as pristine as the limestone, rainforest percolated West Coast rivers I swam in last year. My perspective has not yet declined. New Zealand Doctor Online is not a consumer medical advice service. Consumers should seek advice from a health professional and not act in reliance on any statement contained in the information provided.